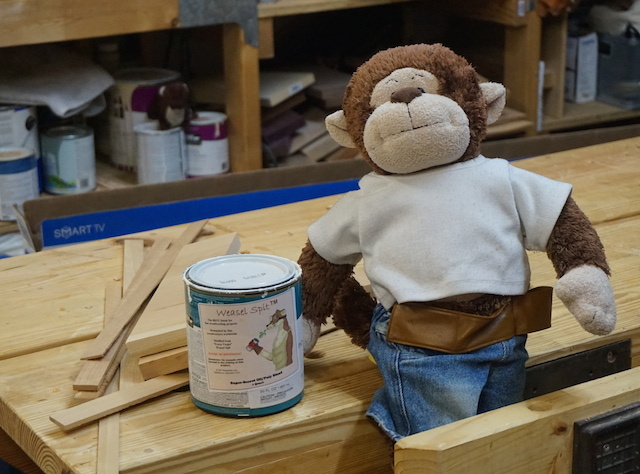 Hey, everyone, it’s me, everyone’s favorite Trained Shop Monkey, and I have to tell you about the best new product for woodworkers I have ever seen. I mean, this stuff is the absolute bomb. It will change the way you woodwork forever. That’s right. It’s super high quality Weasel Spit, distilled from only the finest quality expectorations from members of the Mustela Genus. 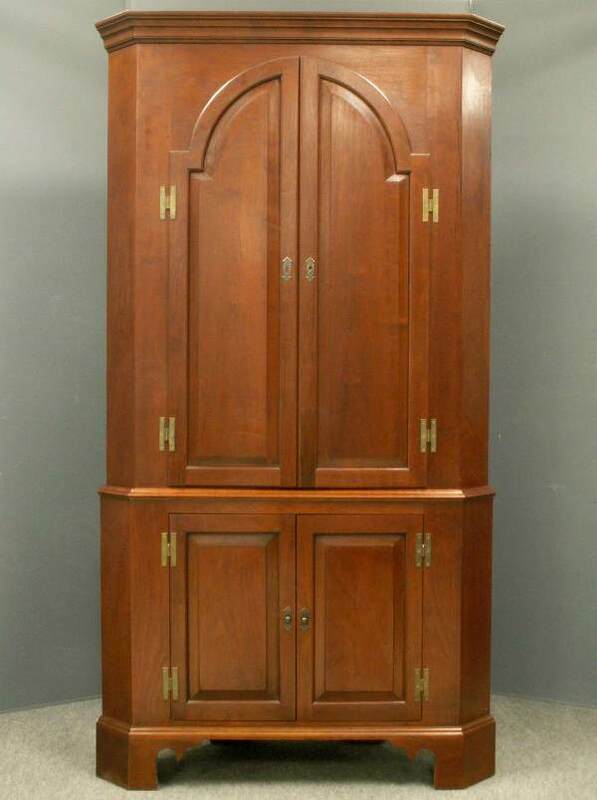 Used for centuries in the Subcontinent on the most expertly crafted furnishings of the grand Svengalis, this finish has the ability to turn lumps of simple scrap wood into outstanding expressions of the craftsman’s art. Allow me to show you an example of Weasel Spit’s tremendous power. Here I am in the shop (We try to keep Tom out of it more often than not these days, what with his long commute and all) with just some simple scraps and a can of my new favorite finish. As you can see, nothing up my sleeves, no slight of hand here. And, this is what the project looks like with just ONE coat of Weasel Spit on it. Do you notice just how quickly it pulled the piece together and made the details pop? I tell you, it’s dynamite stuff. What else can you use Weasel Spit for? It cleans stains off of bath fixtures, etches concrete for epoxy finishes, removes rust from cast iron surfaces in one swipe and makes a great ice cream topping. 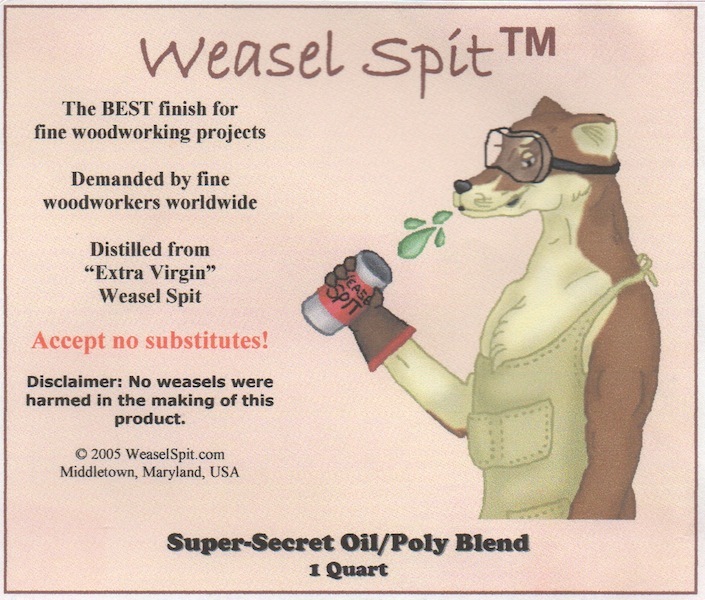 While people have harvested wild Weasel Spit for centuries, it has only recently come to light that excretions of a higher quality can be had from ranch-raised weasels. 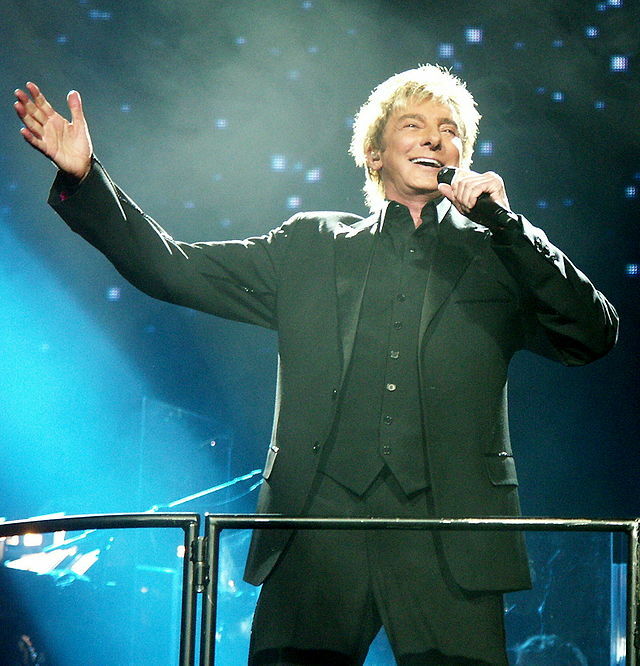 In fact, it’s been discovered that the constant playing of Barry Manilow songs increased weasel output up to 75%. Fortunately, these weasel ranches can be isolated to keep the noise complaints to a minimum. A shop wouldn’t be a shop without a can or two of Weasel Spit finish in it ! ice cream topping…you are something else Iggy.